Cirque Du Soleil’s BAZZAR will be performing under the Big Top , in the Ritz-Carlton, Doha’Island during April 25 to May 4th, 2019. Tickets will be on sale from Monday, 22nd of March 2019, at 8:00 pm local time ONLY & EXCLUSIVELY from www.tixbox.com. 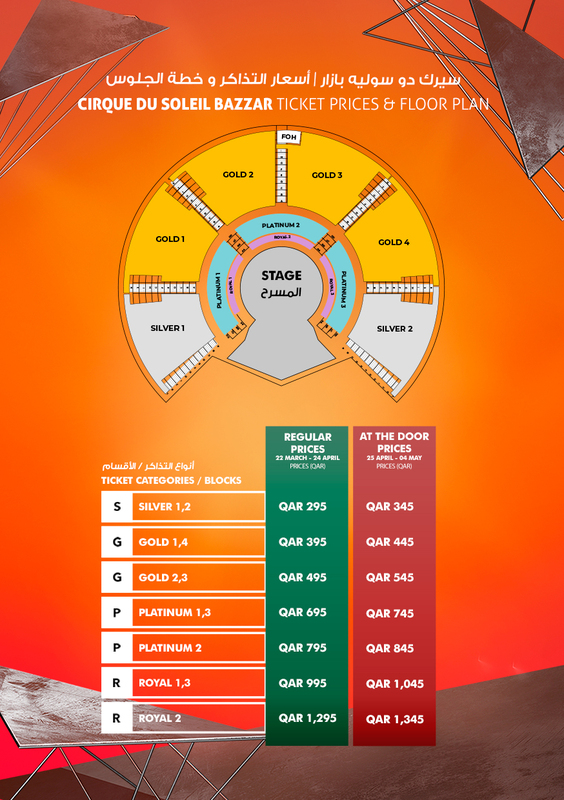 Ticket prices start from QAR 245 upto QAR 1,245.